What is your favorite way to add chocolate to your homemade mocha? Do you prefer cocoa powder with sugar or honey? How about good ole' Hersey's Syrup? Or maybe you prefer a more coffeehouse taste with a gourmet style chocolate syrup? 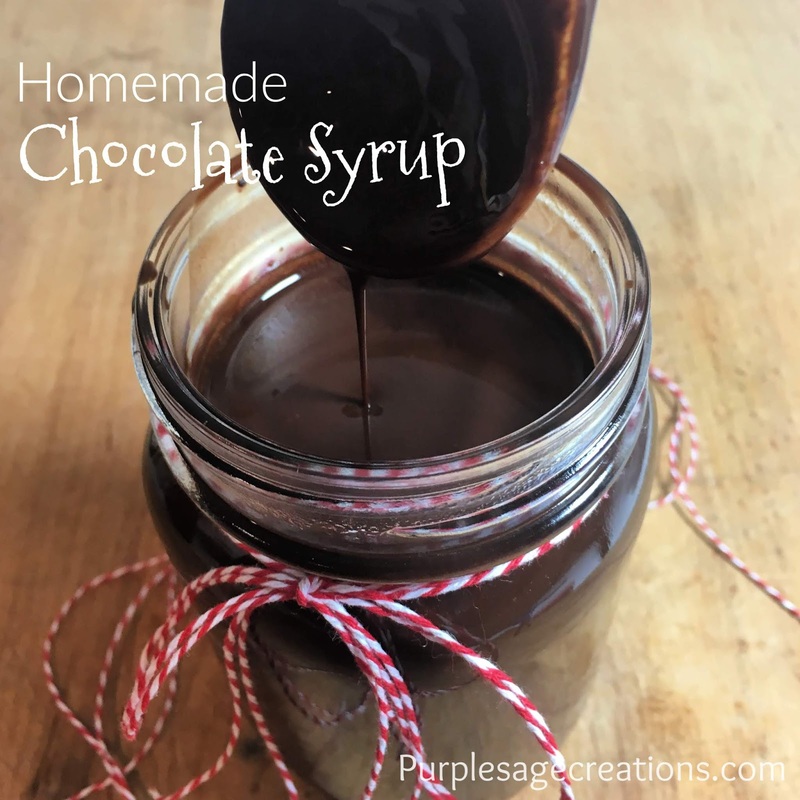 How about a homemade chocolate syrup? It's easier to make than you think. I was able to whip up a jar full in about 10 minutes. And the most satisfying part of making and using it is that I know exactly what is in it. Store it in the fridge for up to a month (if it doesn't get eaten up before then). 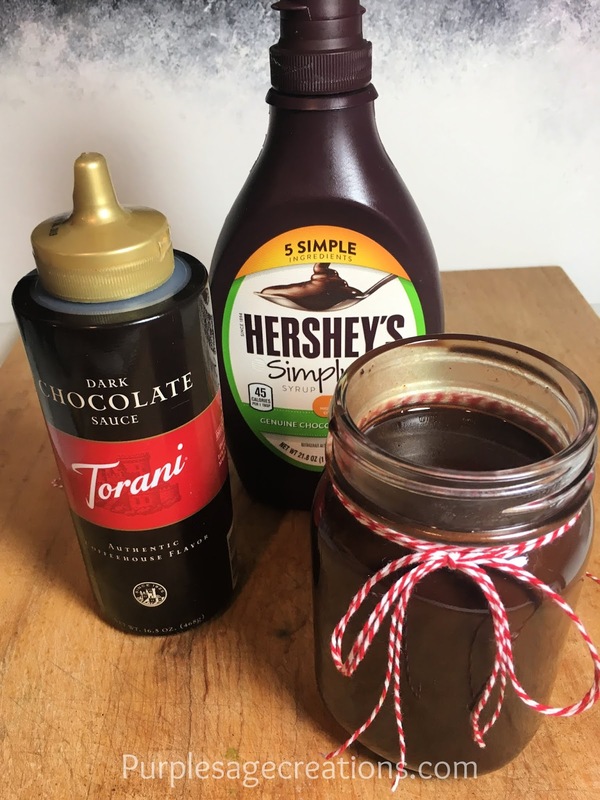 Honestly, you could use this chocolate syrup for anything; ice cream, hot chocolate, chocolate milk, dessert toppings. But since we are in the middle of the 12 Days of Mochas, I'm focusing on using it for mochas. I usually just add it to my mug to taste. 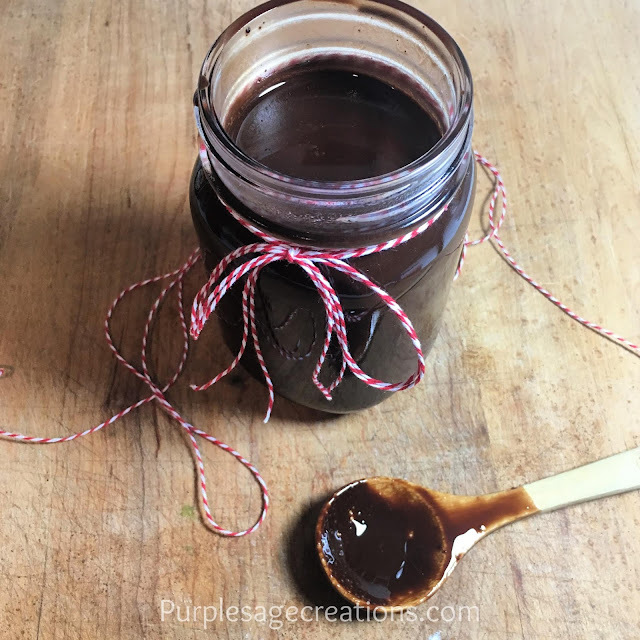 Combine cocoa powder, water, sugar and salt in 2 quart sauce pan (make sure to use a sauce pan with high sides because this will expand as it boils). Stir ingredients together with a whisk until smooth. Bring to a boil over medium heat stirring constantly. Boil 2 minutes; continuing to stir constantly to prevent burning. Remove from heat and stir in vanilla extract. Pour into a glass jar to allow to cool. The sauce will thicken as it cools. It's a fairly thin consistency. If you prefer a thicker syrup you can add a cornstarch slurry (mix of cornstarch with a small amount of water to create a thick sauce) to thicken it up. 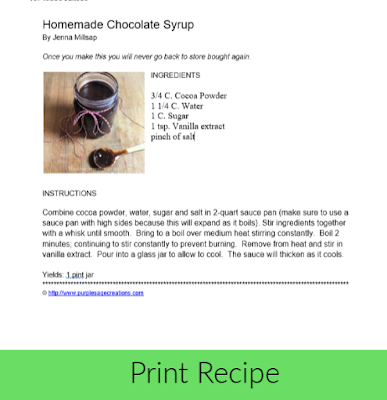 I used regular cocoa powder but you could create a dark chocolate syrup with dark chocolate cocoa powder. Also, the higher the quality cocoa powder the better the syrup will taste. You also have an option of replacing the vanilla extract with any other extract to create a different taste. Try a mint extract with dark chocolate cocoa powder for a rich dark chocolate mint flavor in your mocha. Experiment with different extracts for different flavors.